The Crossing Roper Bar team has just spent a glorious week in Kununurra and the picturesque Dampier Peninsula. 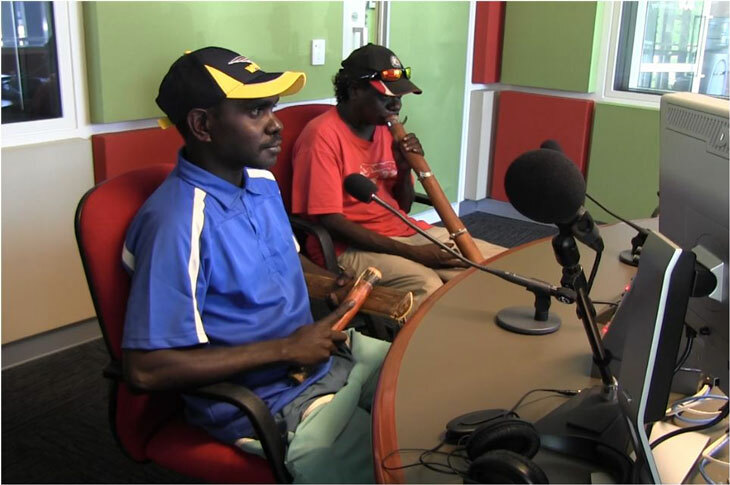 From Kununurra, we hit the road, and headed to One Arm Point and Djarindjin/Lombadina. At One Arm Point we were made to feel very welcome by the wonderfully generous community. 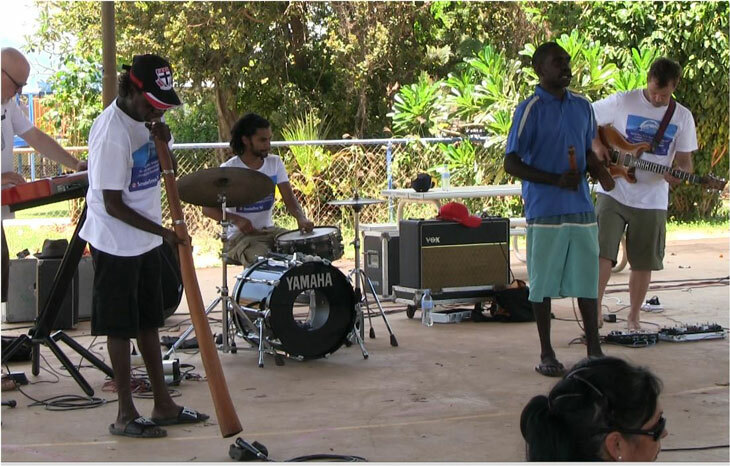 The students at the local school were in awe at the performance held on the school grounds. Principal Keith Spencer proclaimed that he had never seen them sit still for so long. That night we held a special evening concert under mango tree on school lawn. The community came out in force – adults, kids, dogs, and a special welcome by Ardyaloon Chairman Peter Hunter. The community generously supplied local delicacies for us including a very tasty satay turtle! Look out for the next chapter of our adventures on the Dampier Peninsula and beyond as The Crossing Roper Tour continues south. Special thanks must go to the wonderfully warm hospitality of the team at Cygnet Bay Pearls. They have looked after us extremely well during our stay on the Peninsula. Next stop Broome! Stay tuned..